Where there may be a direct impact will be on the investment side. Chinese state companies have been on a huge drive to build roads, airports, railways, power stations and schools, etc. In case the Yuan devaluation tactic fails, with less money to spend, some of the infrastructure deals with Ghana in the pipeline, could be put on hold for an in definite amount of time. That will not bode well for industry and job creation in Ghana in the short and medium term. It is important to note however, that, this impact is not a direct result of the Chinese devaluation but rather an indirect impact. Being that south Africa is currently Ghana’s biggest trading partner by value, and being that, China, on the other hand, is South Africa’s biggest trading partner; any adverse effects of the Yuan currency devaluation on the Chinese economy, might spill-over into the South African economy, which will then indirectly spillover into the Ghanaian economy in the form of reduced trade and FDI fro our South African trade counterparts. If the Chinese Yuan devaluation should fail, it could mean that there will be less cheap manufactured goods on the market to effectively satisfy demand. This could mean that whatever alternatives are left on the markets could begin to experience price increases from sellers who are trying to maximize profits. This could trigger a demand-pull inflationary crisis for the Ghanaian economy since in this case aggregate demand will be in excess of aggregate supply. In the short term this could present economic planners and managers with an economic conundrum in the short and medium term. Being that China is such a huge trading destination for many Ghanaian companies that are both listed or those that are not listed, on the Ghana stock exchange; any economic downturn in the Chinese economy, will directly or indirectly result in significant negative ripple effects on their Ghanaian counterparts in the form of reduced orders, reduced supplies, reduced employment, etc. Tourism is another sector that may bear the brunt of a Chinese economic slowdown. The rise of China to become the second-largest economy in the world has made the Chinese wealthier and affluent. As such they are becoming curious and vociferous travelers overseas. Africa, and for that matter Ghana, is a choice destination for Chinese tourists because of the friendly natives, abundant wildlife and favorable exchange rates. A devaluation of the Yuan means that the Chinese have less to spend, so they may cancel their planned African safaris and trips to Ghana. The main monetary strategy behind the devaluation of the Chinese Yuan is to boost its export led economy, and make its export products more competitive in the global markets by being cheaper or the cheapest relative to market alternatives. Ghana is an import based economy with majority of its foreign imports coming from China. 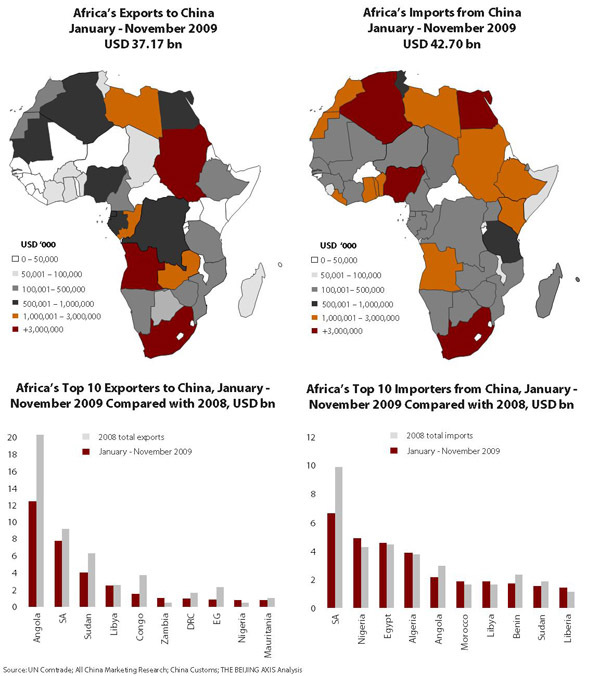 And thus China’s move to make its exports more competitive mean goods from China will be much cheaper than before, and Ghanaian businesses are likely to increase their demand accordingly, or at least continue to remain dependent on their products. This will mean that there will be a sustained demand for foreign currencies, particularly the Dollar, thereby causing downward pressures on the Cedi since demand for the dollar will outweigh supply, which ultimately causes the Cedi to depreciate against the later. High demand for dollars by Ghanaian traders in order to facilitate trade with China has resulted in record low foreign reserves at the Bank of Ghana. According to the Bank of Ghana, they currently only have about 7mths cover left. Together with volatile prices for its commodities such as Gold, Oil, etc. traders might decide that the Ghana economy, and therefore its currency, will be risky to buy and invest in. And this explains why the cedi has lost nearly 20% of its value in the last few weeks alone. Hence in this sense, it will be in Ghana’s economic interests, for the Yuan devaluation tactic not to work for China. If the strategic goals of the Chinese Yuan devaluation work, this will mean that, Chinese exports to Ghana will continue to command an unfair competitive price advantage over their local Ghanaian equivalents. An example is cheaper Chinese cement that has been flooding the Ghanaian markets and thereby unfairly undermining market competition. If this strategy succeeds, Chinese products might even end up being cheaper on the local markets than they were before since their government is now very desperate to spur demand and keep their export driven economy from crashing. Hence in this sense, it will be against Ghana’s interests, for the Yuan devaluation tactic to work for China. This is one is pretty simple, in case the devaluation tactic fails, and the Chinese economy crashes, they wouldn’t be ordering a whole lot of our raw materials such as gold, Oil, etc. Since there will be less demand for their resultant higher priced products. So in the medium-term a devaluation of the Chinese Yuan could result in less demand for Ghanaian goods – as they are priced in dollars that would make them more expensive for the Chinese. 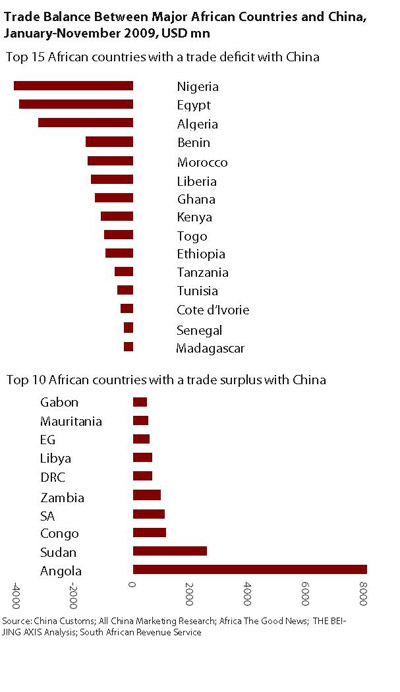 Lower demand means Africa trades less and earns less. If that cycle continues over a much longer period of time, African states could see their economies shrink, government coffers running dry and eventually countries taking on more debt. We need to remember that China is responsible for the bulk of the increased commodity prices we’ve experienced over the last couple of decades. Price increases in Gold, diamond, Oil, etc. have all been largely driven by eastern demand, led by China. Hence in this sense, it will be in Ghana’s interest for the Yuan devaluation tactic to work for China so that they will continue to demand the primary commodities that we export to them. When you couple an aggressive monetary tactic such as a currency devaluation of the Yuan with the falling global crude prices, you will end up with a consumer surplus situation, whereby consumers will be paying much less for the same imported Chinese goods and services this Christmas than last Christmas since Chinese products will likely be getting a double price reduction from lower crude prices and also lower cost of production due to a devalued currency, which will subsequently be passed on to the already constrained Ghanaian consumer in the form of lower prices for Chinese goods this Christmas. So in this sense, the Ghanaian consumer could be potentially raking in some savings this Christmas. 10. Worsening of the Ghanaian Current Account. With Ghanaian exports becoming more competitive and imports becoming less expensive, we should see lower exports and higher imports, which will increase our current account deficits. Thereby sending us into further debt. Hence in this sense, it will be against Ghana’s interests, for the Yuan devaluation strategy to work for China. A lot of people are employed in the Ghanaian economy every year to provide goods and services especially in our extractive industries that end up being exported directly to China. A lot of our gold and Oil ultimately ends up in China, hence a downturn in China could mean reduced demand for Ghanaian mining and other extractive industry workers. This could result in lay-offs. Hence in this sense, the government of Ghana should work hard to mitigate this potential economic risk.